Renate started studying psychology with a DAAD scholarship at the University of Potsdam in Germany and soon discovered her passion for cognitive neuroscience. This fascination eventually lead to 7 wonderful months at the Max Planck Institute for Brain Research in the context of her diploma thesis. There in the group of Lucia Melloni she worked together with Jaan Aru to study the impact of prior experience on perceptual processes via MEG. She returned to Estonia to start her PhD at the University of Tartu and continue research on conscious visual perception. Renate defended her PhD in 2015. 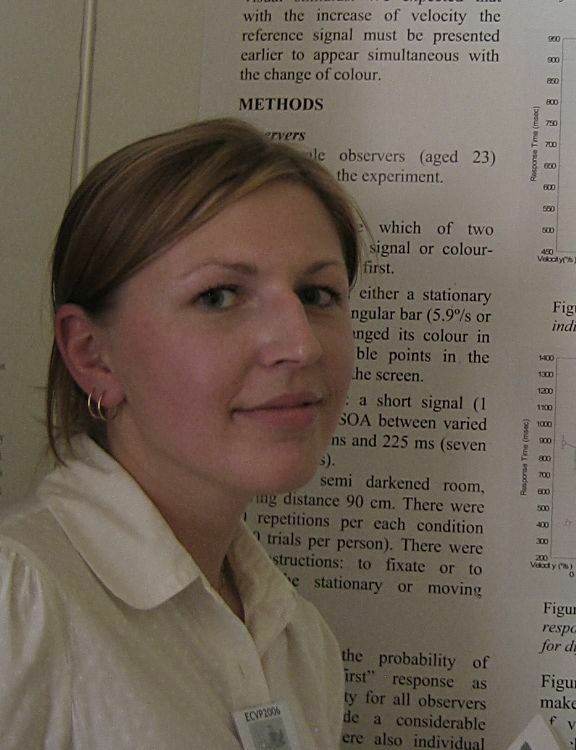 Renate’s main interests lie in the study of NCC and visual perception but she is also very enthusiastic about new methodological developments in cognitive neuroscience. Career and research related information can be best found in his CV and publications list. 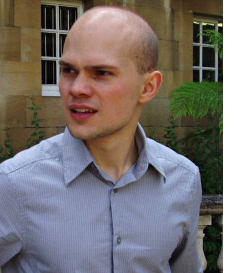 Talis is the principal researcher and head of the group associated in and around Bachmannlab. He holds the full time professorship in the Institute of Penal Law of the Faculty of Law, University of Tartu (Professor of Cognitive and Forensic Psychology) and has also adjunct professor’s duties in the Institute of Psychology of the same Faculty of Social Sciences. 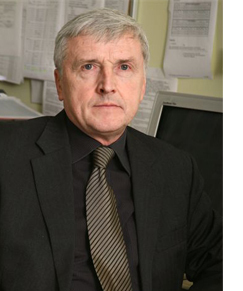 He is also head of group, Perception and Consciousness, in the Estonian Center of Behavioral and Health Sciences. Talis served also for the Executive Board of the Union of Estonian Psychologists. 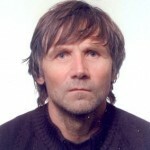 He is full member of the Association for Scientific Studies of Consciousness and Association for Psychological Science. Talis held the duties of an Estonian representative in COST Action BM0605 and is a co-editor for Consciousness and Cognition (Elsevier). He also serves as an expert in psychology and behavioral sciences for the Estonian Science Agency. As the principal investigator, he has been responsible for obtaining finances for the research group and putting together the staff of the group. His main problem in science has been that he has had (and still has) too many varied interests which may not be always useful or profitable in terms of getting fame or money . He knows this, but deliberately continues to be diverse (an euphemism for lack of focus perhaps). 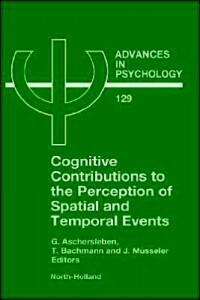 One can list such areas of research, teaching and supervision as: consciousness studies, neural correlates of visual awareness, visual masking, face perception, flash-lag effect, attentional blink, illusory contours, temporal order perception, spatial attention, feature binding, microgenesis of visual representation, advertising effects, detection of deception, facial perception of personality traits, TMS effects on brain functional states, experimental aesthetics and art perception, etc. Luckily enough, during the more recent stage of his career some of the interests have become shared with his closer colleagues and students (who tend to be a bit more focused). Some bits on Talis Bachmann’s personal background and his interests and hobbies besides scientific/academic matters can be found here. Endel has a sharp and critical mind in noticing shortcomings of experimental design and overlooked alternatives of interpretation. He is sceptical of the neuroscietific theories of visual and other cognitive processes unless a precise model consistent with behavioral results and firmly known neural-network characteristics is possible. Endel also tends to stick to the Occam’s razor strategies in his research and theorising. As simple and as clear as possible – this is his motif. If Talis writing often suffers from wordiness, then Endel’s writing sometimes suffers from too few words:-). Endel’s more important research findings help to constrain possible interpretations of visual crowding. He has shown pop-out like effects in facilitating crowded target perception, paradoxical decrease of crowding with increased distracter density, dependence of the models sufficient to explain crowding on the number of distracters, size-based selection in visual search from RSVP, etc. Endel Põder’s scientific visits have brought him also to the places with good modeling traditions of vision research – Greg Francis in Purdue and Johan Wagemans’ lab in Leuven. Endel is also the best qualified computer programmer for experiments in our lab. Iiris is another graduate of the University of Tartu, Department of Psychology. Her doctoral thesis and subsequent work have been most of all dealing with visual attention and object substitution masking. (See her CV also for publications.) But some other topics can be noticed as well, such as TMS studies of visual perception (research still in progress). 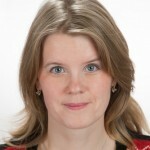 Research conducted by Iiris Luiga has produced several interesting results (including as referred to in Scholarpedia). For example, it was shown that object substitution masking (OSM) can be overcome by attentional precueing, but strongly so only if a local pre-cue is used instead of the central pre-cue. Some effects of sensory contrast attributes of targets and masks in OSM were also found. In a recent study, it was shown that for OSM to take effect there is no need to use a local mask; it is sufficient to postpone the offset of a group of globally arranged distracter objects. On the other hand, there are no mutual congruency dependent facilitative or interfering effects between the visual shapes of local targets and global arrangement of masking distracters. By the way, for most of her experiments Iiris does computer programming herself. From her spare time activities, one cannot escape noticing Iiris’ skills of flamenco-dancing and snowboarding. 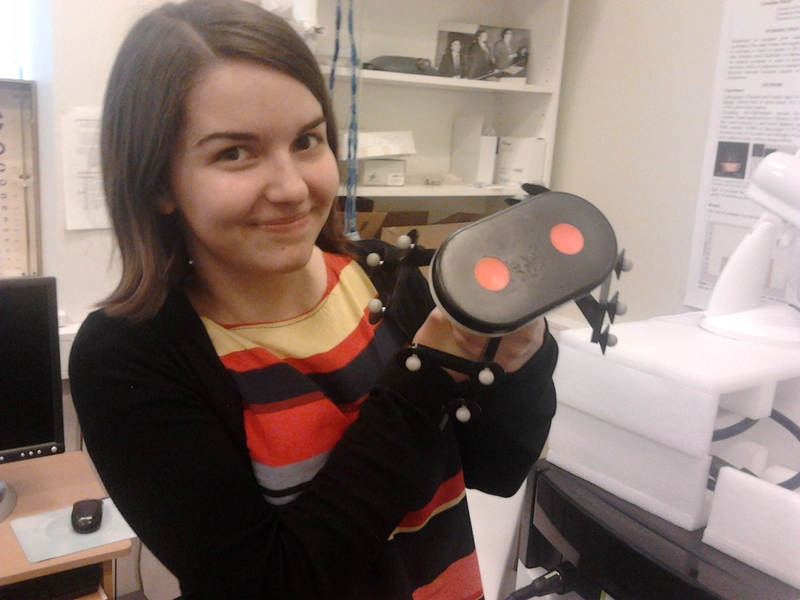 Carolina defended her PhD thesis “Mechanisms of processing visual motion information: Psychophysical, bioelectrical and transcranial magnetic stimulation investigations” in 2014, supervised by prof. Talis Bachmann and senior researcher Kairi Kreegipuu. Carolina has also been working as an assistant and researcher in our lab from 2007. Her research has evolved around visual motion perception, visual search, visual masking, TMS-induced scotomas, caffeine-induced changes in TMS-evoked ERPs, visual ERPs, etc. She has also supervised students doing research in the lab, both in terms of data analysis and tweaking computer programs for running the experiments. Currently, she is a post-doc guest at University of Zurich, where she is conducting her two-year project on perceptual decision-making.